Hunting just for inkjet cartridges can also be a time-consuming bother, most notably when it requires the need to pay a visit to different stores. Then again, replacing C4685 ink doesn't need to be a difficult routine. Purchase all your HP C4685 ink cartridges from Cartridge Save and you could gain not just some time, you will also lower your expenses. HP C4685 Cartridges Delivered The Following Day! If you choose to shop for low cost HP inkjet cartridges provided by Cartridge Save, you can be certain in the fact that your latest order should arrive on the following business day. HP C4685 inkjet cartridges ordered at Cartridge Save are additionally covered with our cash-back refund policy. With brilliant offers such as ours you can really spend less courtesy Cartridge Save. Suitable for home use, the Photosmart C4685 is one of the more recent versions of HP's 4600 series. This all-in-one printer is affordable considering all its features, including colour printing, scanning, and copying. It is a practical solution for basic printing requirements and for digitizing different documents. The Photosmart C4685 shares the same low yield / low capacity as other inkjets. Ink tanks are also expensive. 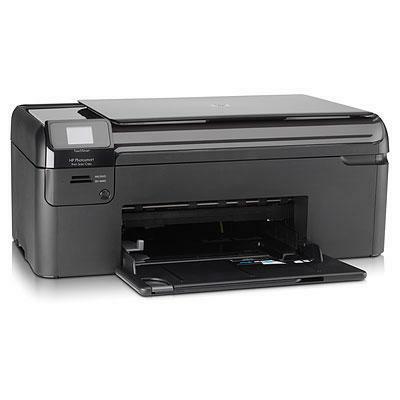 The Photosmart C4685 is designed just like the other C4600 printers. The flatbed scanner is right on top. To the side is a 1.5" touch sensitive LCD display for navigating menus and keying in commands. The paper tray can be folded when not in use. It is connected to your computer via high-speed USB 2.0. More than being a multifunction device, the Photosmart C4685 boasts fast operation at 29 pages per minute when printing in black, and 23 pages per minute when printing in colour. It still boasts the same fine print resolution as other C4600s (4800x1200dpi) and can print 4x6 pictures in half a minute. The Photosmart C4685 is perfect for those who love to take and print photos. The Photosmart C4685 tends to be an ink guzzler; you can't expect a lot from a small tank. The paper tray can also be a bit flimsy.